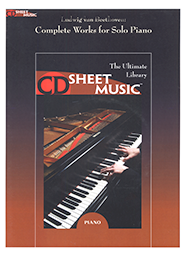 This CD contains the most comprehensive collection of American concert piano music ever assembled. Included are works for every ability from beginner to virtuoso. Forty composers (for many, their entire repertoire for solo piano) are represented including Beach, Bowles, Carpenter, Carr, Chadwick, Coleridge-Taylor, Crawford, Cowell, Farwell, Foote, Foster, Gottschalk, Grainger, Griffes, Herbert, Ives, MacDowell, Ornstein, Paine, Parker, Persichetti, Piston, Riegger, Ruggles and Sousa.